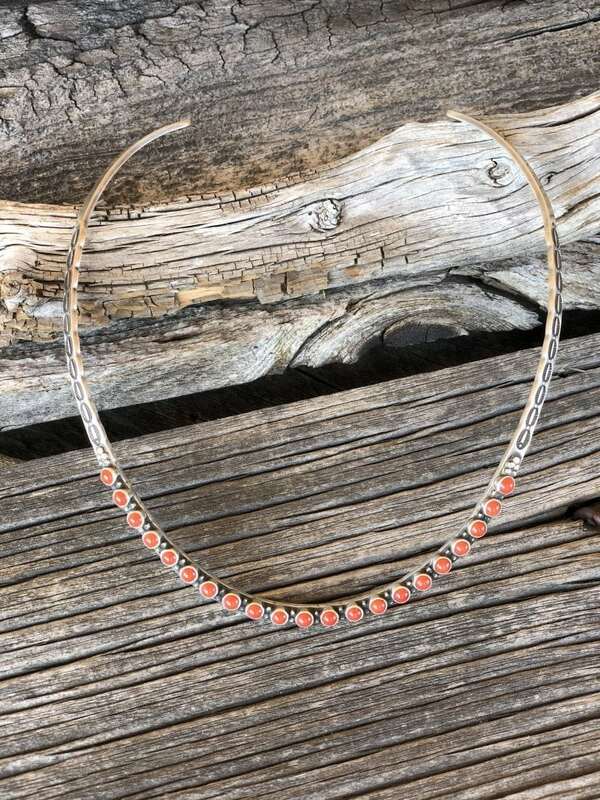 Hand Tooled Sterling silver and red corral collar. 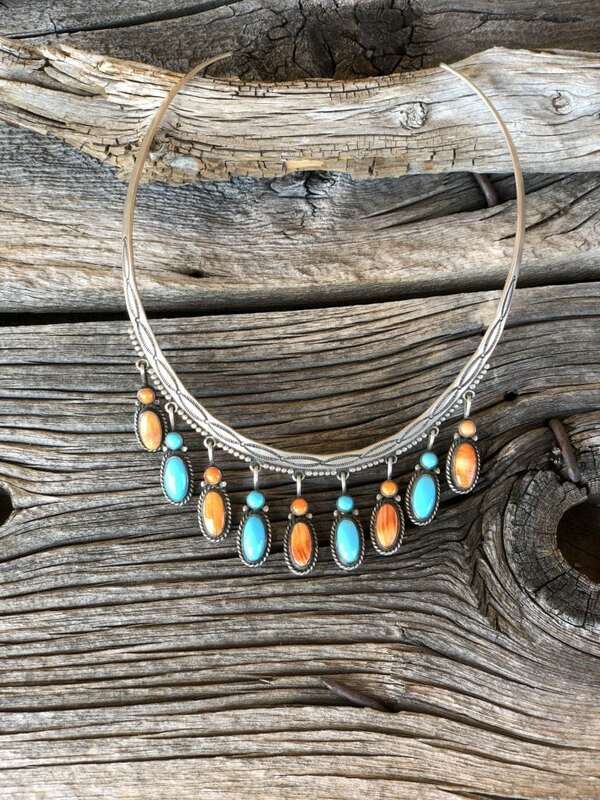 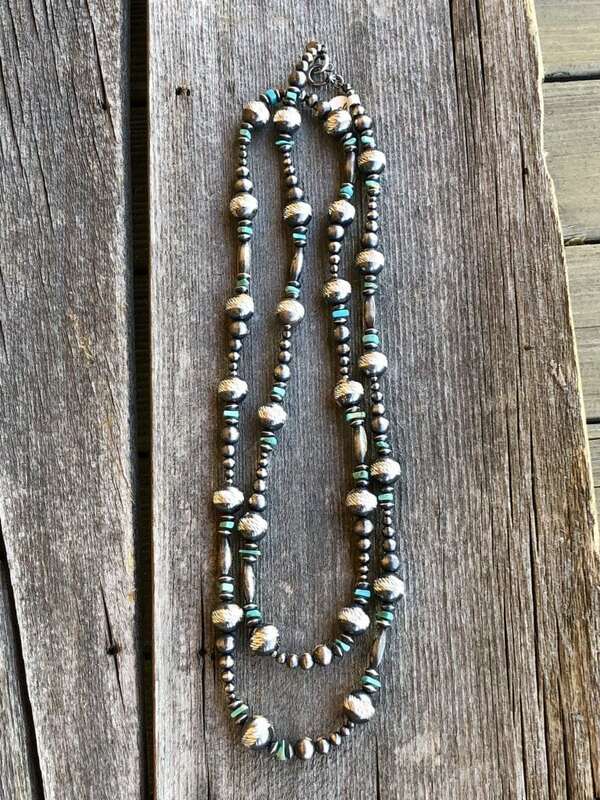 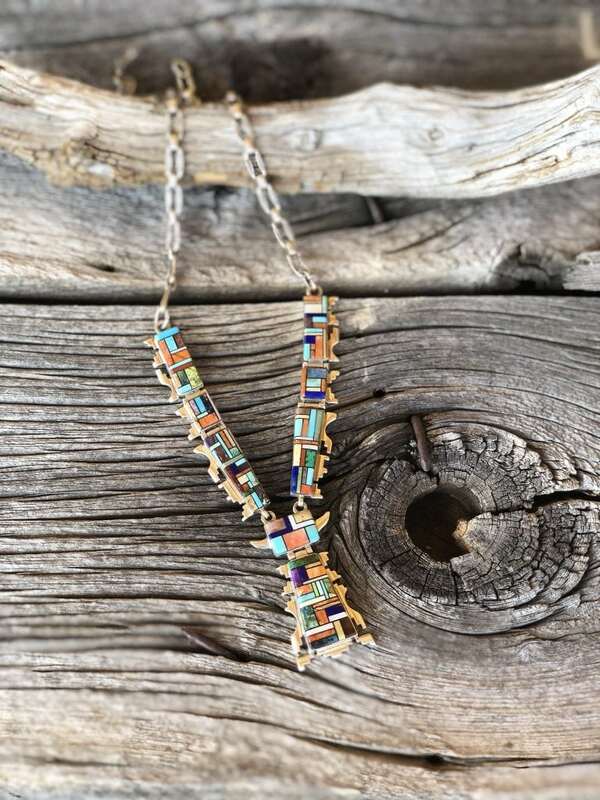 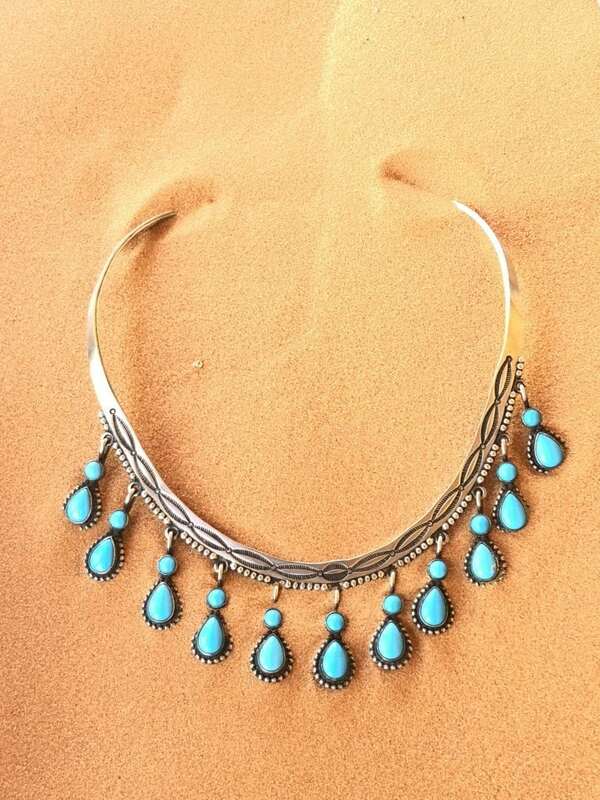 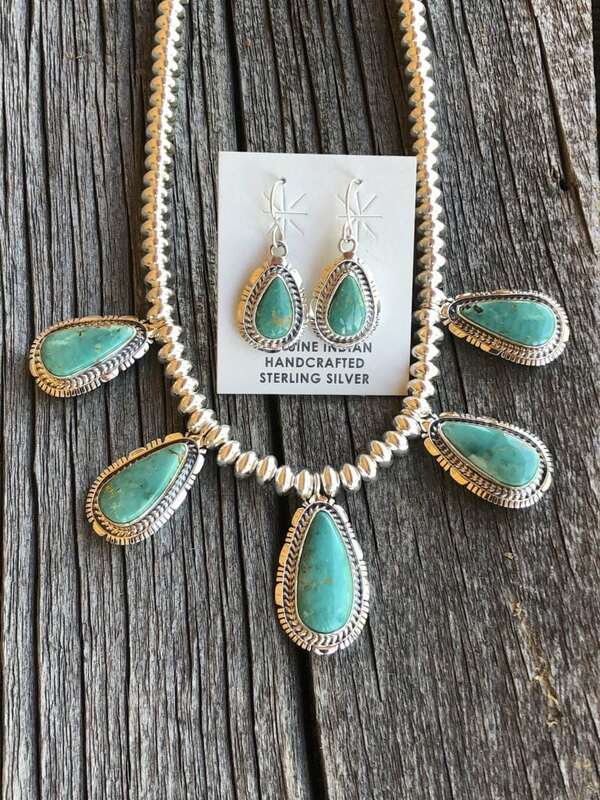 Handmade Navajo Sterling Silver neck collar with satin antique finish, hand tooled, with eleven Sleeping Beauty Turquoise drops. 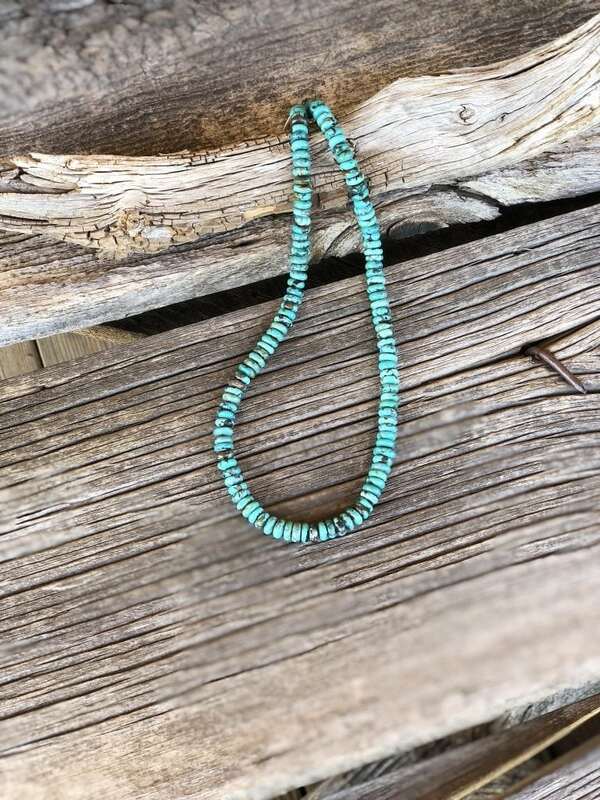 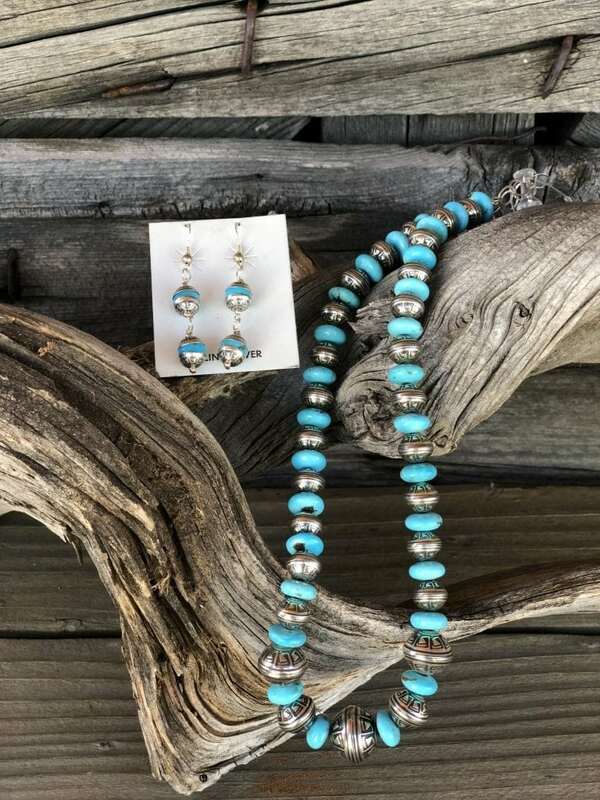 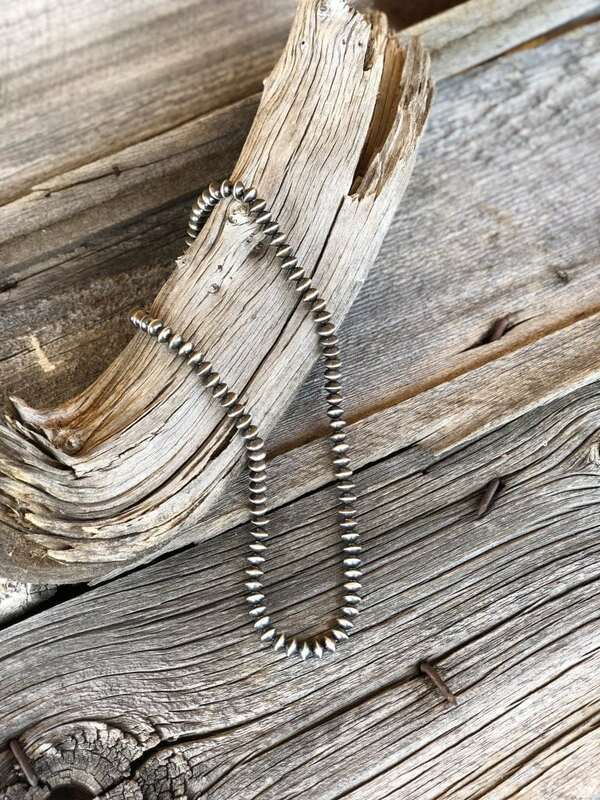 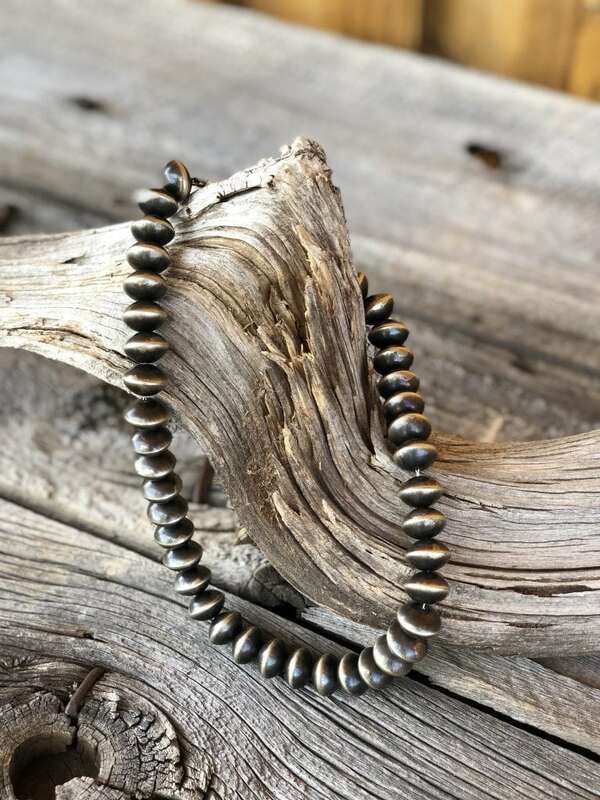 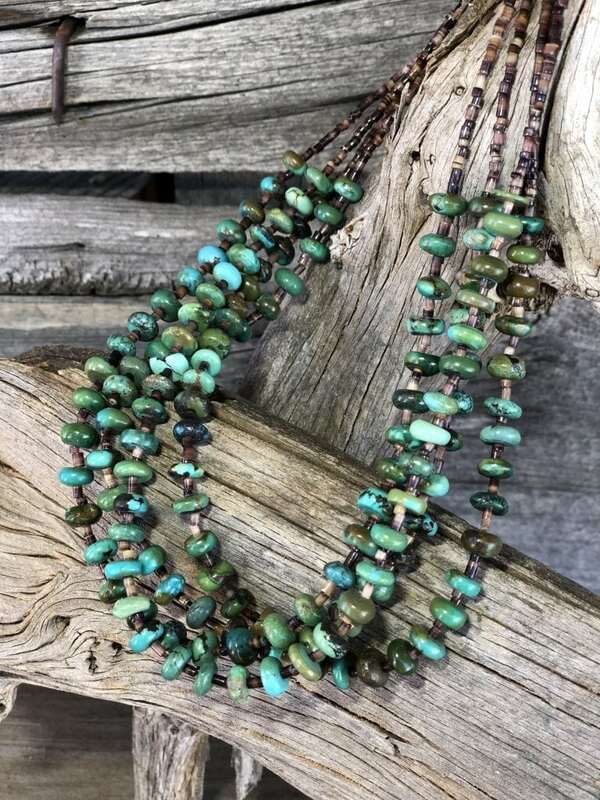 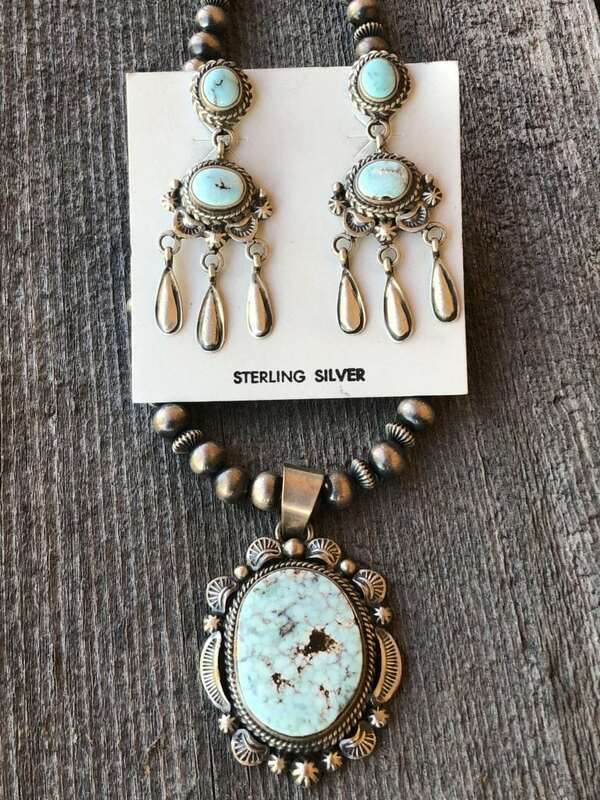 Navajo 6mm Sterling Silver bead strand with five Kingman green turquoise drops that are beautifully matched along with corresponding earrings.